Samsung’s S10 lineup features a whopping four models, the S10e, the S10, the S10+ and the S10 5G. Unsurprisingly, one of the features that differentiates these models is the camera system. Gone are the days, after all, where one camera would suffice. 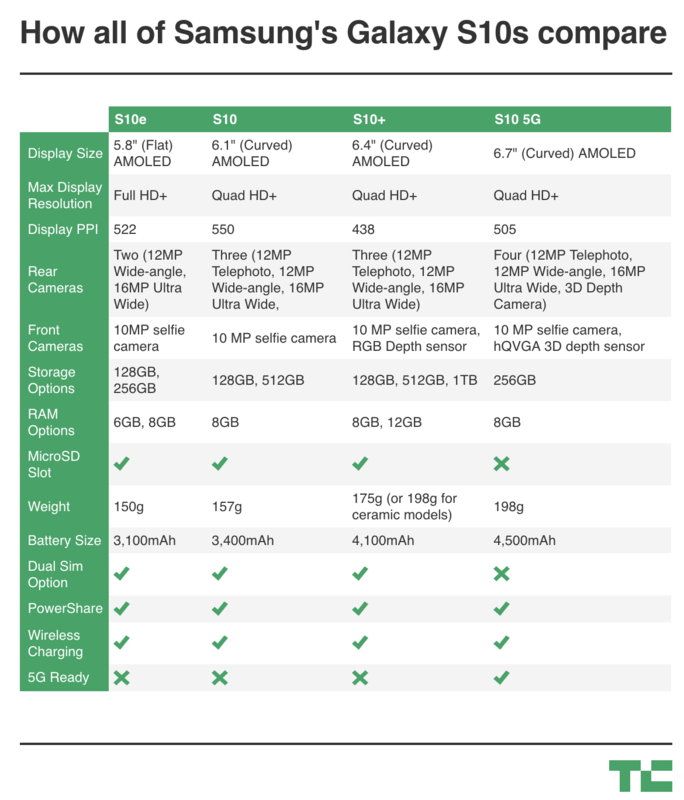 Now, all the S10 models, except for the budget S10e, feature at least three rear cameras and the high-end 5G model even goes for four — and all of them promise more AI smarts and better video stabilization. All models get at least a standard 12MP read wide-angle camera with a 77-degree field of view, a 16MP ultra-wide-angle camera for 123-degree shots, and a 10MP selfie camera. The standard S10 then adds a 12MP telephoto lens to the rear camera setup and then S10+ gets an 8MP RGB depth camera. The high-end S10 5G adds a hQVGA 3D depth camera to both the front and rear setup. The ultra-wide lens is a first for Samsung’s flagship S10 series, though it’s a bit late to the game here given that others have already offered these kind of lenses on their phones before. Still, if you are planning on getting an S10, this new lens will come in handy for large group shots and landscape photos. On the video front, Samsung promises better stabilization, UHD quality for both the rear and front cameras and HDR10+ support for the rear camera. That makes it the first phone to support HDR10+. These days, though, it’s all about computational photography and like its competitors, Samsung promises that its new cameras are also significantly smarter than its predecessors. 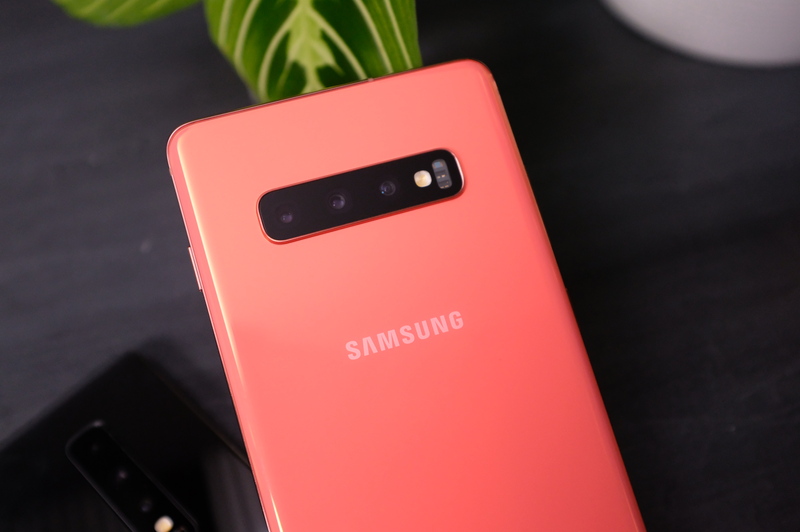 Specifically, the company is pointing to its new scene optimizer for the S10 line which uses the phone’s neural processing unit to recognize and process up to 30 different scenes and also offer shot suggestions to help you better frame the scene. Samsung says it analyzed over 100 million professional photos to create the machine learning models to power this feature. On the software side, Smasung now also offers a version of Adobe’s Premiere Rush, the company’s video editor that’s specifically geared toward editing on the go for YouTube. Oh, and the phones will also get a special Instagram mode. Since we haven’t actually used the phones yet, though, it’s hard to say how much a difference those AI smarts really make in day-to-day use.